We’re extremely proud to present our intrepid family of ambassadors, whose abundant Superhero spirit has seen them turn many of life’s obstacles into opportunities. By sharing their stories, they hope to give all you budding Superheroes out there the encouragement you need to sign up and find your own inner superpower! This father and daughter team are nothing short of remarkable. They’ve completed over 50 sporting events together this year alone, ranging from 10km runs and half marathons to duathlons and triathlons, showing what’s possible with the right equipment, support and spirit. At our last Superhero Tri the duo competed four ‘Sidekick Tri’ challenges in one day – yes four! – using their super-cool new kayak, which Stephan used to tow Chloe for the swim stage before attaching her racing chair to his bike for the cycle, then disconnecting it for the glory push/run home. 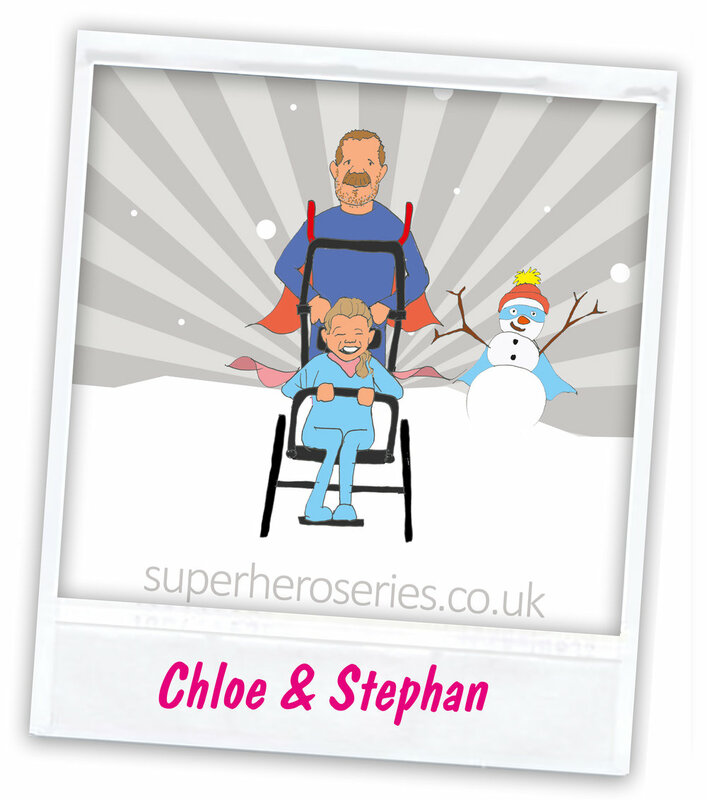 “Our next goal is to encourage Chloe, who has cerebral palsy, global developmental delay and visual impairment, to wheel herself more and more with me guiding her,” explains Stephan. It’s easy to spot ‘Team Sofia’ at our events. 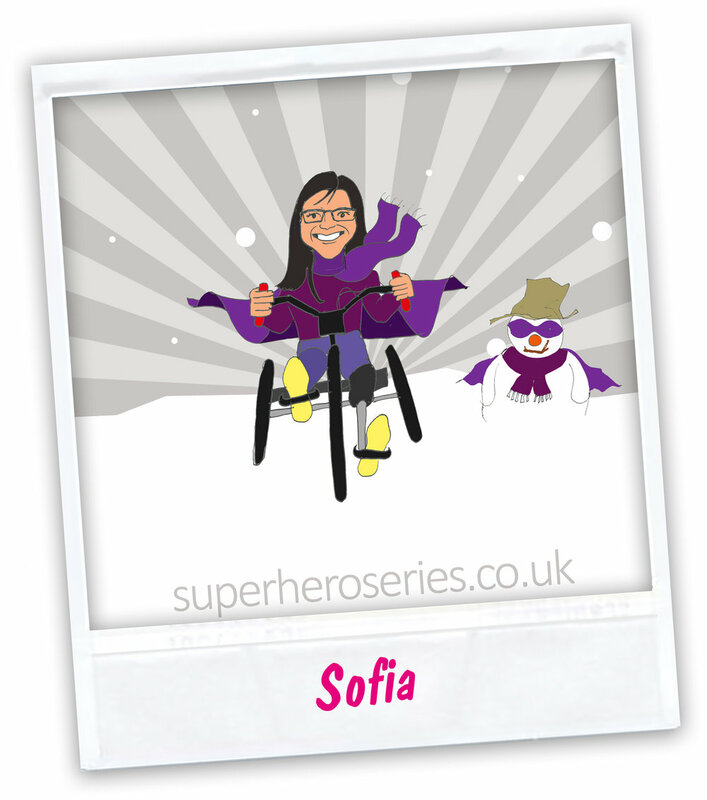 Kitted out from head to toe in purple, Sonic Sofia and her ever-growing crew of great friends and family spread energy and enthusiasm wherever they go. This special spark has served our sports-mad ambassador well and when she was only two years old she conquered a super-bug. “I contracted Meningococcal Septicaemia, which caused a lot of damage to my right leg and my left leg had to be amputated to save my life,” explains Sofia. “But I don’t let it stop me doing what I love – sport.” Sofia’s many passions range from racing on her handcycle, Phoenix, to competing at dressage events, and the 14-year-old has also smashed countless sporting challenges over the years with her family, fundraising a staggering £59,000 for Meningitis Research Foundation along the way. We can’t wait to see what this real-life Supergirl does next! Is there nothing our resident Wonder Woman can’t do? The eight-time Paralympic dressage champion graduated with a first-class Masters in mathematics and juggles her illustrious sporting career with a high-pressure job as a City analyst. She also has two Superhero aliases Ambassador and Celebrity Team Captain. 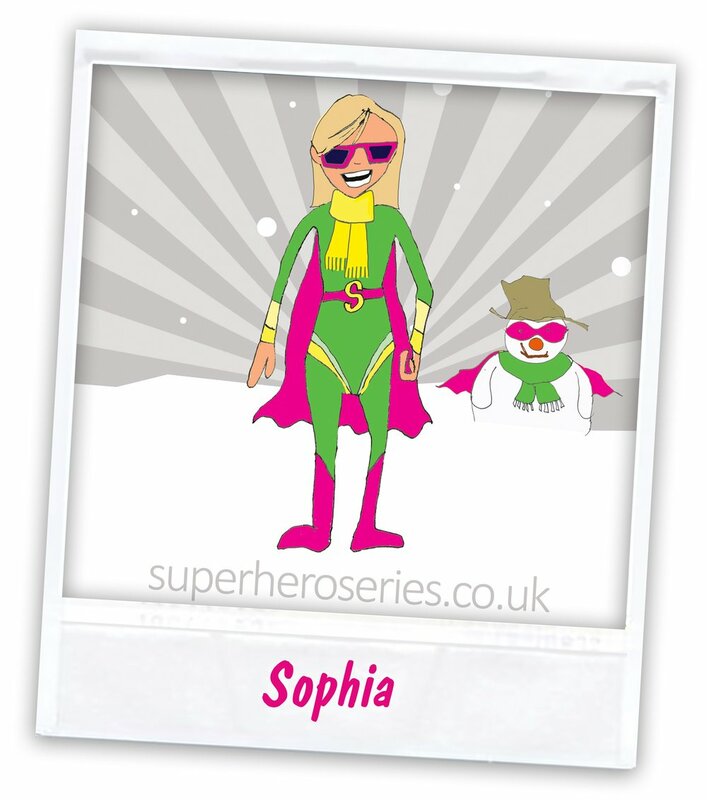 The highlight of the Series for Sophie is “meeting my amazing competition-winning teammates and their families who all overcome challenges with a smile”. And from the look on their faces on event day the feeling’s mutual! “We need more events like these where ability, age, gender and disability don't matter – nor how you complete it,” explains Sophie. “I love riding my recumbent trike and what sets Superhero Series apart is the fact that I can compete alongside my boyfriend who loves running. These events are also great fun and provide me a much-needed release from the stresses of elite sport!” Sophie is currently working hard to secure her place at Tokyo 2020 where we’ve no doubt she’ll shine once more. 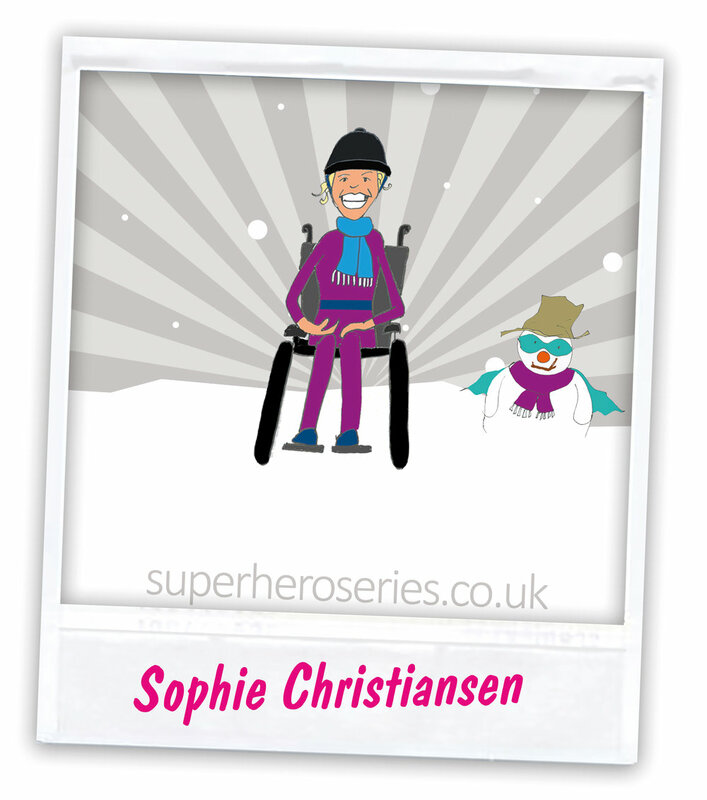 You can join her on her journey at www.sophiechristiansen.co.uk/goldclub. 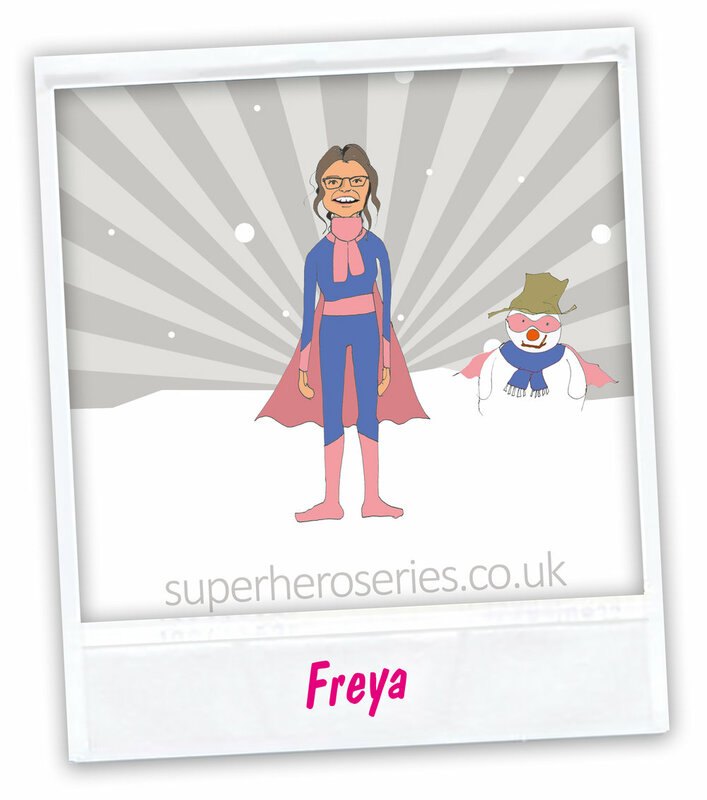 Please welcome a brand-new member to our ambassador family, the fabulous Freya, who is a shining example of the superpower of sport. Previously quiet and isolated, Freya has found new purpose and confidence since joining her local swimming group, the Tadcaster Stingrays, and taking part in our Superhero events. “This Series has introduced us to a whole new world where no explanations are needed and everyone just gets on with being a part of sport,” says Freya’s mum Kristen. “It’s been a game-changer for us.” Freya is now the proud owner of six Stingray medals, is a Special Olympics member, part of two dance clubs, a form captain and plays netball for the school. To celebrate her achievements, the school even has a huge picture of Freya hanging outside the sports hall! When asked what she hopes to achieve in this role, Freya says: “To help children to be the best children in the whole world, to get involved in swimming, cycling and running, and to get everyone together.” Now these are goals we can get behind.